Come 23rd January, Thursday, two of the most versatile and fluent sides in cricket will take to the pitch for the first of five ODIs between the two countries. Napier will play host to New Zealand and India for the series opener starting 7:30 am IST in what promises to be a riveting and enthralling affair against the third and second-ranked side in the world. The resounding form that both the sides come into within the series certifies that the series will be an absolute floundering affair to watch. New Zealand has blown apart Sri Lanka recently, downing them with ease in both the ODI and test series, while India has behind them the momentum of a historic and heroic test and ODI series win against Australia. The two persistently meted out performances that only the best in the world can and complete with world-class performers from the first to the eleventh spot, both the countries have at their disposal players who’ll spare no expense to stamp their credentials as the world’s finest. For India, the series not only offers an opportunity to continue their supremacy but also further fine hone themselves on pitches that aren’t much different to that of the world cup venue England. Having asserted that this 16 man squad is the same that the team management is looking to go ahead with at the world cup, the series holds a superb opportunity for India to further acclimatize and get familiar with pitches. Looking to take the all-important lead in the series in the first ODI, India will have a majority of their hopes pinned on their opening fast bowling duo of Bhuvneshwar Kumar and Mohammed Shami. The two swept past the Australian batting unit at will, getting the ball to frisk about in all directions to send them some real rippers. Napier will be conducive to their skill set and if they get the ball moving, the early inroads aren’t far away from India. In the batting department, India will be relying once again on the absolutely scrumptious Virat Kohli who looks flourishing in conditions where the side relies heavily on him to come up with the goods. Trent Boult and company will be no mean task and if India is to ensure they can register a competitive total, Kohli will need to step up to the big stage yet again. A bigger area of concern though for the Indians is their middle-order. While they all contributed in Australia, none played a three-digit knock, one that can prove that India has stabilised a problem that has caused them to stumble in such inclement conditions. New Zealand will be well aware of this and expect the intelligent Kane Williamson to shuffle his bowlers around extremely well, using them in short, sharp spells to keep India unaware. No matter in how fine touch the hosts are, they know that India is a much stiffer test than the ones they’ve faced over the last year. Luckily, they have on their side exactly one such match-winner who loves performing when the identity of the opposition is such. In their captain Kane Williamson, the home side have without a doubt one of the most dependable and reliable batsmen in the world. 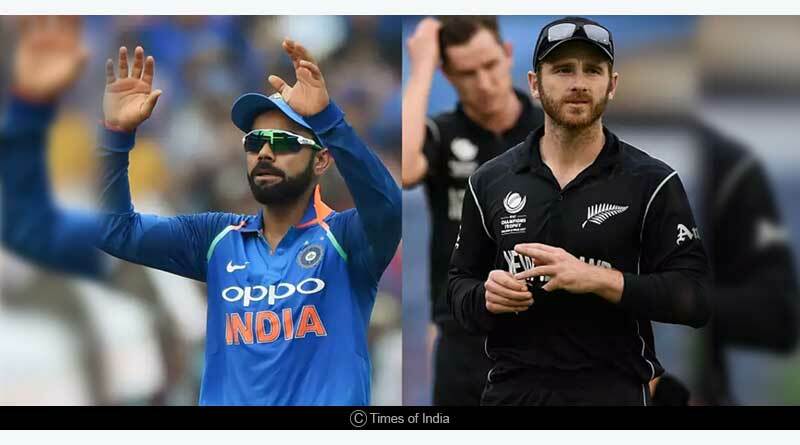 He loves taking the accountability on himself, taking the incentive of ensuring his side ends up on the winning side and applying himself according to the situation of the game and the way he and New Zealand’s middle-order cancel out the India spinners threat will be one of the most crucial encounters in this match. Coming right before the world cup, the onus lies on each side to keep their world cup preparations going in the right direction and owing to the magnanimity of the task at hand, the series will be one that can’t be missed. The all-important first match of the series is certain to be a cliff-hanger, one that will see neither side give anything away to the other as they look to craft out a win and take the all-important win in the series. We’ll be bringing to you the entire live coverage of the match starting 7:00 am IST with minute by minute score updates and latest developments. Please do join us on www.tentaran.com and on our Twitter feed. After India vs New Zealand First ODI Preview, stay tuned for the match coverage and India vs New Zealand match highlights.